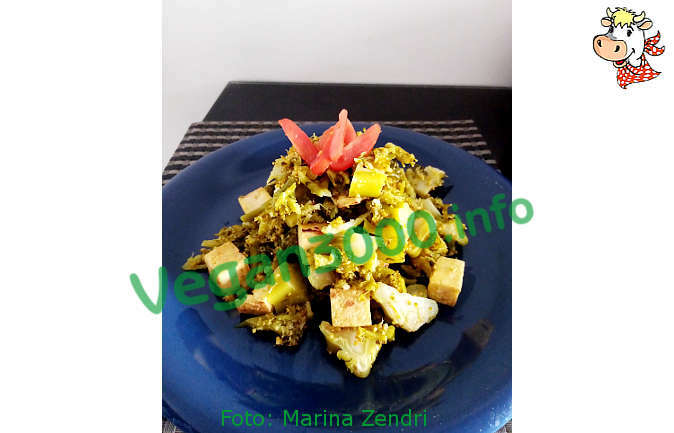 Cut the tofu into cubes and Brown in the oil for 15-20 minutes, until it turns golden brown. Cook for about 10 minutes broccoli steamed and let cool. Tip: Decorate with red pepper cut into slices.